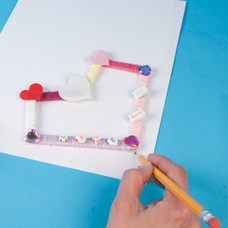 Use Friendship Thread, Craft Sticks and beads to create a fun heart shaped frame. Give as a gift to someone special on Valentine's day or any day. 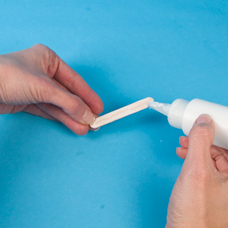 Spread some glue on one side of a Mini Stick. 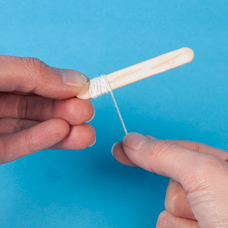 Start wrapping one end of the Mini Stick with Friendship Thread. 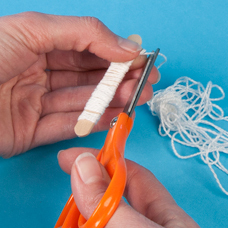 Wrap the Thread tightly together, overlapping to cover all the Stick. Continue wrapping until you have covered the majority of the Mini Stick. Leave the last little bit of the stick uncovered. Cut the remaining Thread. 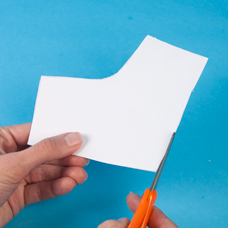 Use a little glue to secure the cut end of the Thread. 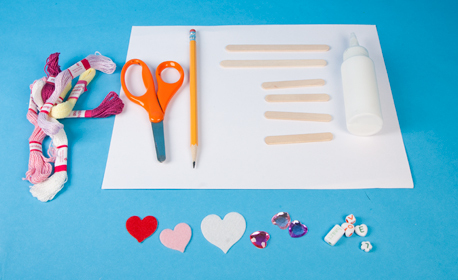 Repeats steps 2-4 with (3) additional Mini Sticks and (2) Craft Sticks. 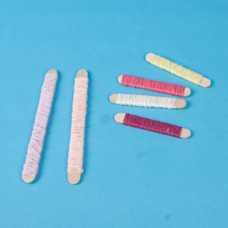 Use a different color of Friendship Thread on each piece. 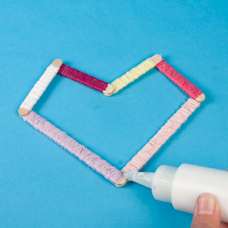 Glue the pieces together to form a heart, as shown. 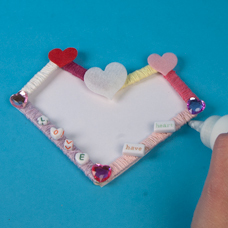 Decorate the heart with the Acrylic Jewels, Alphabet Beads, and Felt Heart Stickers. Cut out the traced heart. 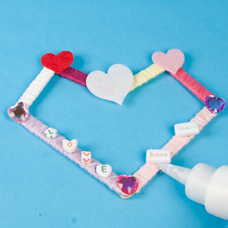 Glue the cardstock to the back of the heart frame. 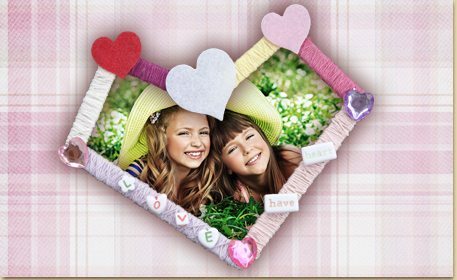 You can write a message or draw a picture in the frame.